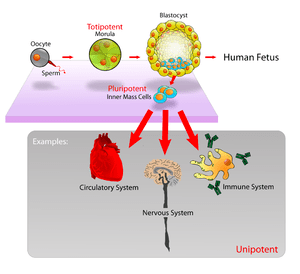 This morning, I heard on All Things Considered, that scientists have been able to clone human embryos capable of producing pluripotent stem cells. Hooray! This is a milestone for treatment options for diseases that plague humankind. I have always been a staunch advocate of stem cell research and I applaud and cheer on our scientists for the work they have painstakingly taken on in spite of political, religious, and whatever bigoted backlash they have received over the past 20 years. Can we all just revel in the milestone for once and not start to parse the moral and religious issues from the ultra-conservative god-knows-how-extreme right? This is really a landmark event!!! P.S. See photo stream posted on Flickr and from University of Michigan! This entry was posted in Cloning, Human Embryos, Scientific Discoveries, Stem Cell Research and tagged All Things Considered, Biology, Biotechnology, Cloning, Conservatism, Embryo, postaweek 2013, Stem cell. Bookmark the permalink. let’s revel and then prepare for the fight. I sure hope so. But what is it about our society that many people seem to walk around with blinders until they experience the very things they ignore or don’t bother to be adequately informed about, first-hand, such as a loved one with cancer or has autism or a mental disorder or is gay, they persist in being either oblivious, ignorant or even downright against it! These very same people are the targets of distorted press! I know it’s frustrating but I guess it’s fear, ignorance, misinformation.. I have to admit I knew little about stem cell potential myself until I recently did some research hearing that it was a treatment being considered for UC which my daughter has. So I’m as guilty as the masses of being ignorant in that respect! Can you imagine the relief for kids if we can beat UC? I used to take care of a ward full of them in Toronto. It’s heart-breaking to watch them. I can’t even begin to answer that – watching my daughter go through it is the worst thing ever..